P. T. Anderson faithfully adapts Thomas Pynchon's most accessible novel, the zaniest surf noir, Inherent Vice. It is also the first time he's worked with a large ensemble cast since Boogie Nights. The result is often hilarious, a laborious snapshot of the end of the groovy 60s. The film centers around Larry 'Doc' Sportello (Joaquin Phoenix), a dope smoking Private Eye, as he helplessly gets mired into what seems to be an unsolvable case. It all begins with the visit from his ex-girl friend Shasta Fay Hapworth (Katherine Waterston) whom he still carries the torch for. She tells him that her new fling, a billionaire construction tycoon Mickey Wolfmann (Eric Roberts), who inexplicably hangs out with Aryan Brotherhood, is about to get kidnapped by his wife and her body building 'spiritual coach' boyfriend and put into a looney bin. But even before Doc has a time to react, Mickey and Shasta go missing. With the clue "Beware of The Golden Fang! ", left by remorseful lesbian masseuse who put him in the hole in the first place, Doc leisurely seeks out people who might have a hand in the disappearance. Is The Golden Fang a rock band? A front for money laundering association of dentists? Is it a schooner? Trained killer dogs with golden teeth perhaps? He digs deeper and deeper into the labyrinthine conspiracies while jotting down (un)helpful words and phrases- "Paranoia Alert! ", "Spanish?" on his small notepads along the way. Doc's biggest obstacle in solving anything, other than his pot fizzled brain and constant paranoia, is famed, hippie hating Lt. detective Christian 'Bigfoot' Bjornsen (Josh Brolin). As far as Doc and his mellow friends are concerned, the civil rights chomping Bigfoot is in cahoots with the environmentally irresponsible, now missing billionaire. To make the case even more complicated, the feds are involved and Doc enlists the help of his one-time girlfriend now a deputy DA Penny Kimball (Reese Witherspoon). But everybody has his/her own angle on this and everybody preys on Doc. Dialog, with few exceptions throughout his filmography, hasn't been Anderson's strong suit (nor has he seemed to care). Here Anderson strictly sticks by Pynchon's snappy prose line by line with more than 30 speaking parts. The only big difference from the book is its narration by Sortilège (Joanna Newsom), or Leej, as Doc calls her. She is Doc's spiritual hippie gal pal who has that special touch. The whole time, I was thinking of Newsome as young and hippie version of Thelma Ritter from noir classic Pick Up on South Street. Her nasal, soft voice somehow works in a typical masculine world of Anderson and gives the film its lightness. 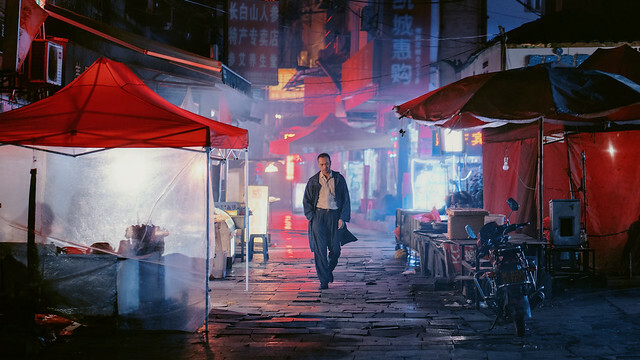 There is no shortage on noir references, or should I say noir archetypes here - you can find lineage all the way from The Big Sleep to The Long Goodbye to The Big Lebowski. The concoction of Pynchon's wacky characters with typical long takes that Anderson prefers, provides the actors plenty of room to shine. Its chaotic pace gives way to long monologues and long takes that last up to 5-7 minutes, the flow of the film matches with Pynchon's prose well also. Phoenix, with messy hairdo and mutton chops, again, is brilliant in another bravura performance as doped up hippie PI. Brolin is a pure comic gold here as Doc's nemesis and also secret confidant. Other outstanding notables are Martin Short as a drug addled Dr. Blatnoyd who goes wild in the funniest scene in the film and Owen Wilson provides perhaps the most poignant moments as a confused sax player in a surfer band who got finagled to be a double/triple agent by various antisubersive groups. As the drug infused haze/smog lifts from the City of Sinners (with their inherent vices), what's left is Doc and his dignity as the last vestiges of innocence and goodness in the flower child generation. As Leej says, "Doc may not be a do gooder but he's done good." I'd be lying if I like Inherent Vice more than The Master or There Will Be Blood. But it is an enjoyable romp. It definitely solidifies P. T. Anderson as a great chronicler of American psyche though out the decades. 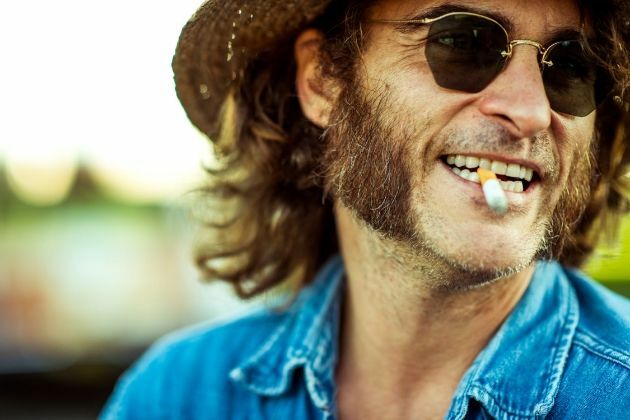 Inherent Vice is the Centerpiece selection at this year's NYFF. It opens limited on 12/12 in NY and LA, then sees the general release in 1/9/15.